Police has intensified its operations against noise pollution largely in Kigali city. Police Spokesperson (ACP) Theos Badege said that public places like churches; bars, restaurants and nigh-clubs should operate within the confinements of the law by implementing noise control guidelines, such as fitting soundproof materials. 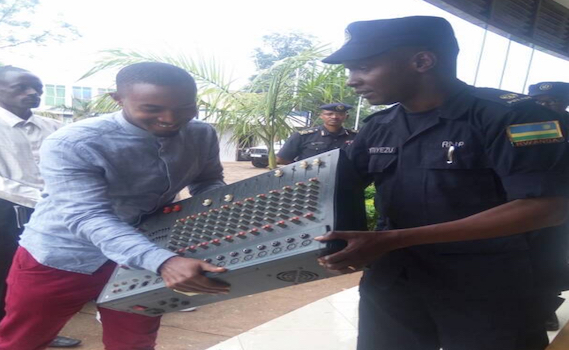 ACP Badege was speaking in a wake of recent operations where Police seized sound equipment from Two Shorts bar and Isoko Imarinyota church, both located in Remera Sector of Gasabo District, over noise pollution. “Sound should be regulated in a way that it doesn’t affect the beliefs and wellbeing of others in the neighbourhood. 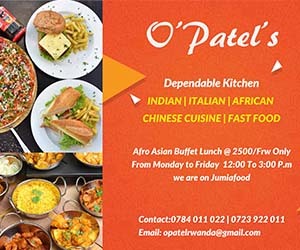 Rights, faith and leisure or businesses can be enjoyed and conducted in a manner that doesn’t violate the rights of other citizens,” he said. He advised them to acquire decibel – sound test masters – to help them regulate their sound, and install sound proof. Article 108 also partly penalizes anyone who “makes or facilitates in causing noise that may disturb road users and the neighborhood” with a fine ranging from Rwf10, 000 to Rwf100, 000. Under article 600, “any person found guilty of making noise and night disturbance in a way that causes trouble among people, shall be liable to a term of imprisonment of eight days to two months and a fine of Rwf50, 000 to Rwf1 million or one of these penalties. Meanwhile, Bertin Munyaneza of Isoko Imarinyota church located in Nyabisindu village, and Faustin Mukiza of two shorts bar, who received back their seized sound equipment, promised to follow noise pollution laws and called on others to follow suit to avoid loses and being charged for failure to observe laws. Medical experts say that an increase in 10 decibel of sound produces noise pollution by 100 times. The distance from a source of noise and duration of exposure determine the deleterious effects of noise on an individual. About 45 decibels may cause disturbed sleep, whereas 80 to 85 decibels sound can impair hearing.